Wearing a school uniform helps reduce bullying, according to a new study which questioned teachers, parents and students that’s released today (29 June 2017). The research, the first of its kind in the UK, proved that teachers in particular overwhelmingly believe that a smart uniform makes children better behaved and contributes to a happier and more focused classroom. 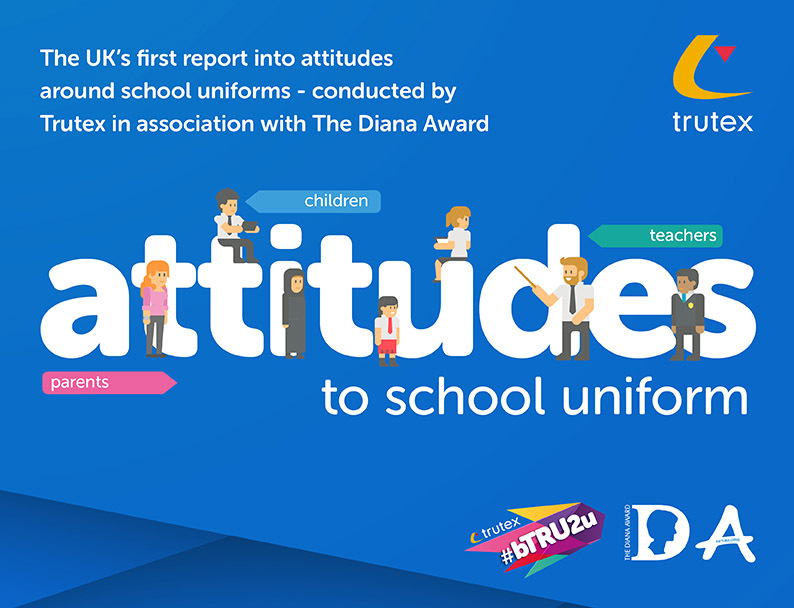 Uniform makers Trutex has linked up with charity The Diana Award, established in memory of Diana, Princess of Wales, to launch anti-bullying campaign #bTRU2u and to support The Diana Award anti-bullying ambassadors programme.As part of the campaign it commissioned research from 1,318* teachers, parents and pupils on their attitudes to school uniforms. The study found nine out of ten teachers (89%) believe school uniforms play an active role in reducing bullying. 95% say uniforms help students “fit-in” and 94% believe parents and the local community and even potential students look with pride on a school where pupils wear uniforms. Two thirds of parents (66%) think wearing a school uniform puts students on a level playing field and makes their life easier. Mothers in particular see the advantage of a uniform and wearing a standard outfit is backed by three in four mums. Six in ten (61%) believe it counteracts bullying in school with only a handful (11%) disagreeing. Seven in ten (68%) believe uniforms reduce the pressure on their youngsters to wear the latest fashion which can be a factor in bullying. While children are less enthusiastic about the merits of a school uniform with six out of ten (59%) aged between 6 and 15 preferring to wear their own clothes, nearly half (46%) admit a uniform does reduce bullying and seven out of ten (68%) reckon it helps them ‘fit in’ at school. Just over a third (36%) of 15 year olds say they would be worried if a school uniform policy was abolished and many youngsters agree that there are advantages in having an approved mode of dress. Seven in ten (68%) believe it enables them to “fit-in” at school and 46% say it does make bullying less likely. However, there are still complaints among children that uniforms are uncomfortable to wear (47%) and 53% say it doesn’t allow them to express their personalities. Uniforms are worn in almost every secondary school in the UK (98%) and the majority of primary schools, 79%,*** ranging from a formal blazer and tie to more relaxed polo shirt based outfit. The report says that while schools are not legally bound to have a uniform policy the Department of Education states they play “a valuable role in contributing to the ethos of a school and setting an appropriate tone”. It found that schools with strict uniform rules report that potential bullies find it harder to identify targets which are historically children who do not quite fit in. A standard dress makes for a level playing field and removed pressure on children to wear the latest fashions or designer labels which can highlight inequalities between students who come from different family backgrounds. Matthew Easter, Managing Director Trutex said: “The research, a first in the UK, gives a very clear indication from parents and teachers that wearing a school uniform can help reduce the potential for bullying. Unsurprisingly we see that many children aren’t all that keen however even they recognise that wearing a uniform helps them fit in. 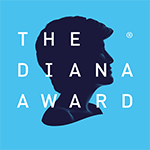 “Research into the causes and the possible prevention of bullying is essential and we now have views of teachers, parents and children which is really insightful,” said Tessy Ojo, CEO of The Diana Award. 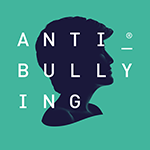 “It sits hand in hand with our anti-bullying ambassadors programme which has trained 22,000 young people across the UK to identify when bullying may be happening and what they can do to help,” added Tessy. “All children are fundamentally equal, but what they wear often creates barriers between them. When they wear the same clothes, they ARE the same, with the same potential and the same opportunities. School uniform is one of the greatest levellers in school, and one of the greatest boosts to social mobility,” said: Dr Helen Wight, International Educationalist. All figures, unless otherwise stated, are from YouGov Plc. Total sample size was 604 children (6-15). Fieldwork was undertaken between 13th – 20th April 2017. The survey was carried out online. The figures have been weighted and are representative of all GB children (aged 6-15). * YouGov surveyed 604 children aged 6 – 15. Opinium surveyed 534 parents of school aged children and 180 teachers surveyed through online survey.